The application includes all necessary tools for comfortable work with a news and information portal "Plumbing, heating, air conditioning". 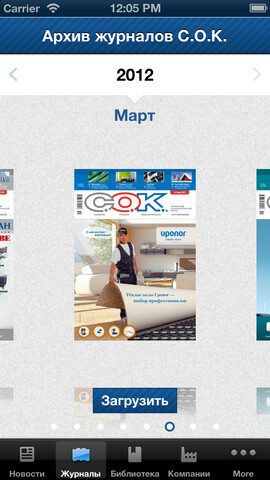 The journal "Plumbing, heating, air conditioning" is the leading Russian specialized monthly edition published since 2002. The edition has gained high prestige and recognition among professionals during a decade of successful work in the media market, highlighting objectively the industry development, as well as having done a great job in creating the new standards of publications and industrial press design. 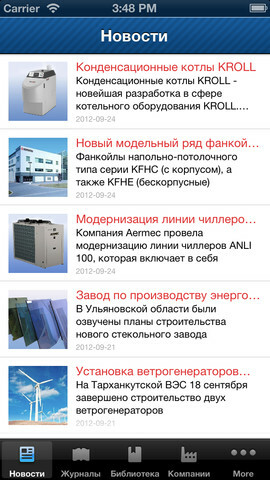 The website of the journal "Plumbing, heating, air conditioning" is the main news and information portal in the industry. Its readers could get acquainted with the latest market news, download electronic versions of the journals C.O.K., use the library containing more than 10,000 documents including many specialized books, cources, reference books, GOST, SNIP, catalogs and manuals for the equipment. Representatives of the organizations have the opportunity to register and to manage their companies' pages, post photos, videos and other information about their activities.